InSanity lurks Inside: Canada's Wonderland- New Dark Ride for 2014 " Wonder Mountain's Guardian"
Canada's Wonderland- New Dark Ride for 2014 " Wonder Mountain's Guardian"
We now now what is going into the side of Wonder Mountain up at Canada's Wonderland! 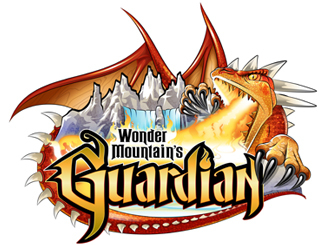 In May of 2014, Canada's Wonderland will open the side of Wonder Mountain to reveal the mountain's guardian! In an all new, interactive 4D dark ride, guest will get a chance to explore the myth of the guardian. "Wonder Mountain's Guardian begins with a perilously climb up the side of Wonder Mountain then plummets into the core traveling through five different layers of this dimensional world. Riders will encounter mythical creatures as they navigate 1,000 feet of coaster track through a desolate forest, underground lake and the Draconian city. The quest culminates as riders enter the dragons lair for the ultimate battle and heart-stopping finale that will shock thrill seekers of all ages". The ride is being built by Montreal's TRIOTECH who is a leader in supplying these types of multi-sensory rides for the amusement industry and has developed new and updated systems for this newest addition to Canada's Wonderland. The ride will simulate wind, movement and more. It will also have the fastest and most accurate targeting system. We've spoken to Canada's Wonderland this afternoon, Thunder Run will remain intact and will not be removed! This is good news as Canada's Wonderland will remain tied with it's sister park, Cedar Point for coasters. With this addition I'd imagine that Canada's Wonderland will be an even more magical place then before, we can't wait to bring you coverage of this new attraction next season! Thanks! I've also asked the park this question and am just waiting confirmation from them. Could you ask the park for a layout of the ride? I doubt they would give me something that detailed, most parks guard their blueprints and layouts pretty tightly. Although in the email they did state they would be working around all existing structures inside Wonder Mountain. However, I'm now starting to question if they will re-use any of the old "Thunder Run" walk through area for this ride? Right now not much information is available to the media, just the basic release information and what little they will tell us. I'm sure once construction gets further along they will be giving us a lot more information though! As soon as I get more information, I'll be posting updates about this attraction!